At Hidex scientific development is at the core of our values. We believe in the scientific advancement and continued improvement of our products. Our passion is to develop and optimise instrument sensitivity, streamline measuring operation and make usability as smooth as possible. To ensure the continued operation with our instruments we commit to unrivalled support. Our customers can unleash the full potential of our instruments with the support of our application specialists and field support engineers. Hidex guarantee you the state-of-the-art tools so you can focus on your research. Hidex is a family owned high technology company which develops and manufactures high performance analysis equipment for life science research, radiation measurement and nuclear medicine. Our products utilize modern technology and excellent tradition of workmanship. With strong links to the scientific community we continue to innovate and develop to improve scientific research and safety of everyday life. 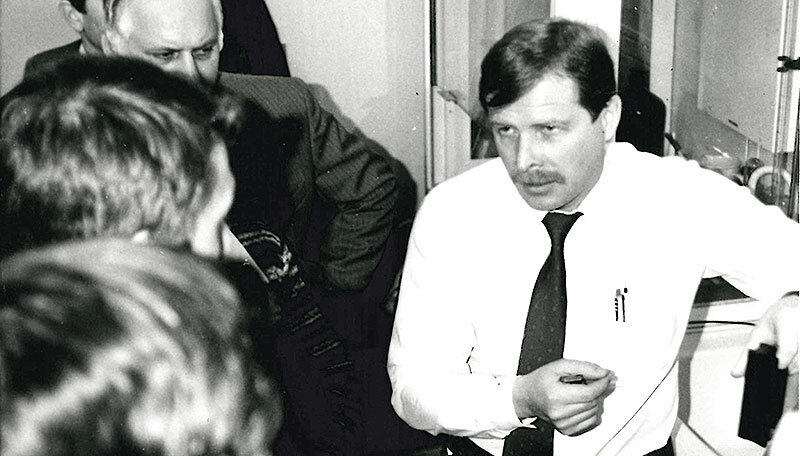 Hidex was founded in 1993 by ambitiously pioneering Jukka Haaslahti. Soon the experienced engineers Juhani Aalto and Timo Oikari joined the trio which set out on an ambitious target: to develop the world’s first portable liquid scintillation counter. As a result the Hidex Triathler was launched and company gained name in the field of liquid scintillation counters. Over the years Hidex has introduced technological innovations in microplate reading, gamma counters, nuclear medicine and PET radiochemistry. Today more than 3000 Hidex precision instruments are at service in leading laboratories worldwide as well as in some of the hardest conditions on the planet. Jungles and deserts, oil platforms and ocean going vessels – even submarines are no challenge for Hidex instruments. With our customers we improve the research of medicine, safety of nuclear industry, sustainability of the environment and purity of our food and water supplies. Jukka Haaslahti had a vast experience in radiation detection and analytical instruments. He founded Hidex based on his strong desire to develop instrumentation. Our global network of specialists guarantee an unrivalled level of support so you get the most out of our equipment. 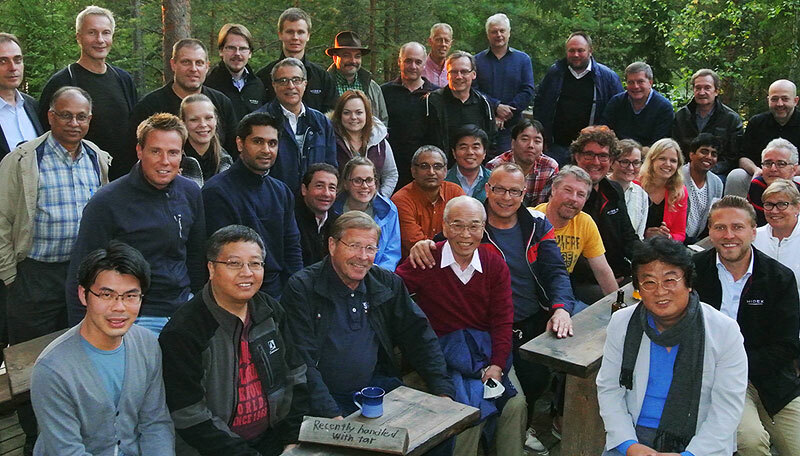 Our sales and marketing team gathers to share experiences and define the future.